Monday, Through Pie Day… | "DESTROY ALL FANBOYS!" Okay, it’s not that silly fake holiday at all (whenever it is). I was just craving a pie and as my older brother dropped off two pounds of blueberries on Friday, I decided to do something with them other than wonder what the heck I was going to do with all those blueberries. I hadn’t baked a pie in what, ten years or more (eek), but it’s kind of like riding a bike, right? I can’t ride a bike, so that’s a bad example. 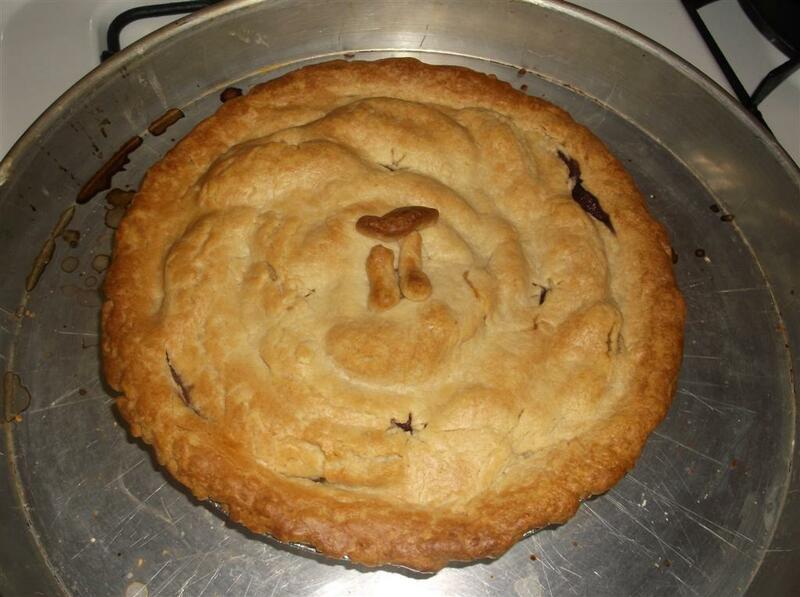 Anyway, I bought a few apples, added some other stuff and put together a combo pie this evening. It’s still cooling so the taste test will have to wait. It should be alright as it certainly smelled tasty enough. The funny thing is right after I took it out of the oven my craving vanished. Oops. It’ll come back before a day has passed, but I’ll probably need to share this with a few people. Mmmmmm, Pi! This entry was posted in 2015, Commentary, DAF, Humor, Updates and tagged Baking, Dessert, Food, It's Nice to Share!, Math, Pi, Pie, Yeah I Made That by geelw. Bookmark the permalink.